Being part of the growth within a person's career is very satisfying. I have been privileged to have been there before, and now again. As a photographer, I imagine these opportunities arise often. Photographers find themselves often at the most important stages and events in people's lives. Easygoing is not always....easy going! Mark and Jo are not only newly weds, they are new arrivals. They have only been in Australia for a couple of weeks, having moved from the UK to start a new life here. They booked my services as a photographer while overseas. So, I turned up to begin photographing their wedding without having met either of them. I think we were both pleasantly surprised. I was a fun loving photographer, which was just what they wanted. They were a happy, fun loving couple, very easy going. Getting this fun loving couple to stop laughing and socialising over champagnes after the ceremony was the hardest part! I spent most of my day taking candids! Now,don't get me wrong. Candids are fine. They are pure, natural images - the kind all couples want. But they also want some lovely wedding portraits also. And, so do I! Well, I hope they like their candids coz the formals are few and far between! 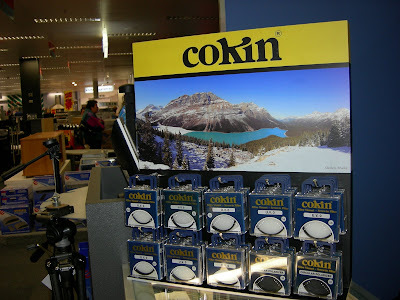 The Australian importer for Cokin filters, Maxwell International, have used an image taken from my trip through the Canadian Rockies last year for the banner image on their new Cokin filter stand for their instore display. It is a panorama of Peyto Lake, taken using my Tamron 17-50 f2.8 lens on my Nikon D200. I have actually printed this image out as a six foot print, mounted and framed as a gift for my very good friend, Leon Delta at House of Holidays. It is proudly on display in his living room now. For Cokin to be using this image is also quite wonderful, although Leon had already paid it greater dues! Latest Issues are Out! Win a Leica! 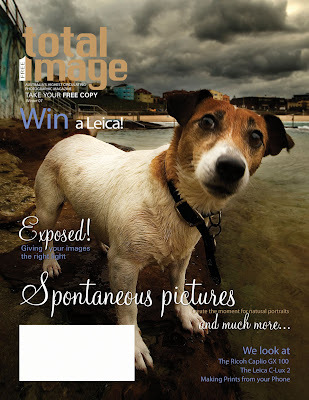 Well, again, after a long and arduous journey, the latest issues of Total Image and Better Pictures are soon to hit your photo retailers' shelves. You can even win a Leica by clicking here and following the links to the competition! 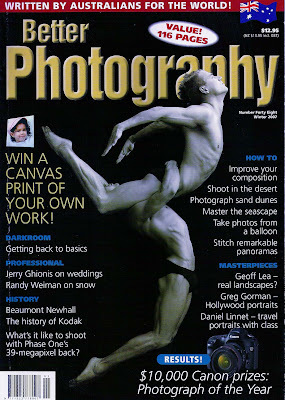 In this issue we examine metering and discuss the art of exposure. We explain how photographers achieve those spontaneous images and we show you Paint Shop Pro's little secret black and white tool...its lovely. Better Pictures is available free from all Camera House stores.Total Image is available from participating independant photo retailers. 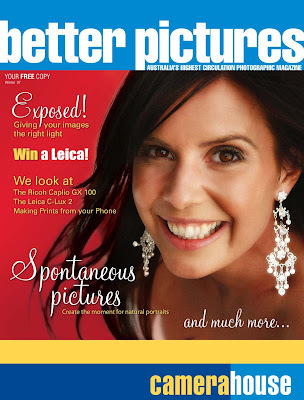 The latest issue of Better Photography is once again available, and once again features an editorial by yours truly. My article is a basics on composition, with the emphasis on getting the image right in camera. I receive an email from a young lady named Mikail. She informs me that she is getting married and has been recommended to me from another couple whose wedding I photographed a few years ago. Would I be available to photograph her wedding? 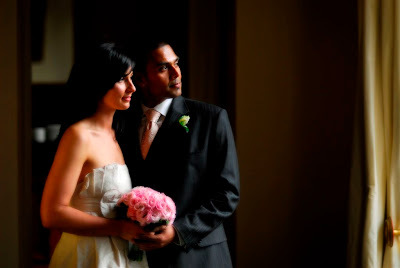 Of course I would be more than pleased to photograph their big day. The entire thing is to be held at Butleigh Wootton, one of Melbourne's most pretigious wedding venues. Fabulous! I turn up only to find out I have known Mikail's parents for many years...Marlene and Bill - and nobody thought to tell me! It was lovely catching up with you all and seeing you after all this time! 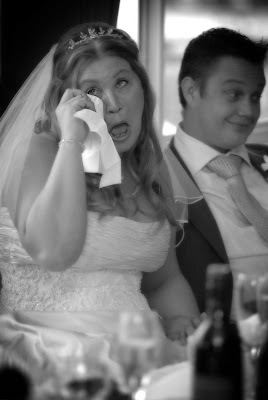 Oh, and lets not forget the fun it was to photograph the wedding! Thanks to you both, Joseph and Mikail. 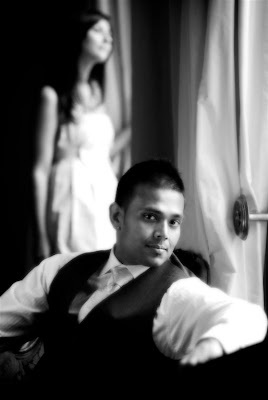 It was an honour to photograph your wedding. I wish you both every possible happiness! Lenses are the eyes to my cameras, my new and interesting viewpoint for every possible subject. 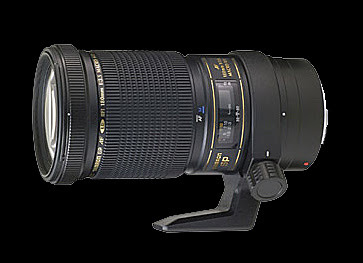 I have recently acquired the Tamron SP AF 180mm f/3.5 Di LD IF Macro Autofocus lens. Its a mouthful, but this lens is a beautiful thing. I only with I had the time to use it! I will have to make the time I guess. But it is so many things in one lens...Portrait, Telephoto, Macro...its wonderful. I will keep you all up to date and show you some images soon! Maxwell International are the Australian importers of such great products as Tamron lenses, Cokin Filters, Pelican Cases and LowePro. 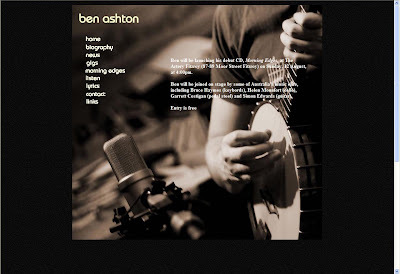 Their new website is up and running and it features the work of a very happy Australian photographer...me! You can check out the website by clicking here. I am very pleased to have been asked to provide the lion's share of images for this site. Web designer, Glenn Watson of Cyberdog and I have known each other for several years and its always a giggle and an absolute pleasure working with him. As it stands, I am an avid user of the products they distribute here in Australia. I have three Tamron lenses, 4 LowePro gadget bags, about a dozen Cokin filters - and have recently taken possession of the Tamron 180mm f3.5 Macro lens. No doubt it will provide some more images (hopefully) that the site can utilise. So, in the words of that other famous Maxwell...And Loving It! For the last Photo Industry Expo, which was held here in Melbourne, I was asked to put together a DVD to show at the Expo which highlighted Cokin filters and their continuing practicality in the digital age. It was all put together at the last minute so I was a bit nervous. However, it was a hit and many retailers have asked for copies to run in their stores as sales aids. 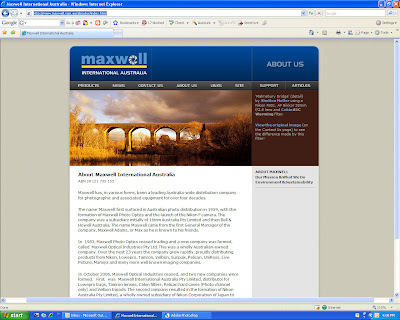 So, I have finessed it a little and sent it to the importers - Maxwell International, who have been good friends and clients for several years. 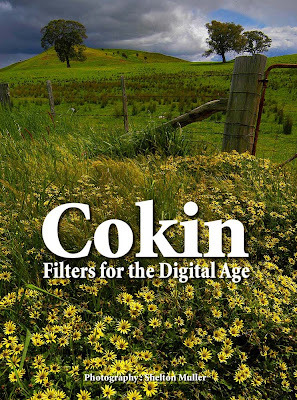 I hope Cokin sell more filters as a result.